MAP recently hosted a Facilitation Skills Workshop that was funded by a newly established Lush: Fresh Handmade Cosmetics grant, for MAP’s CBEMR Community Network Capacity Building program. 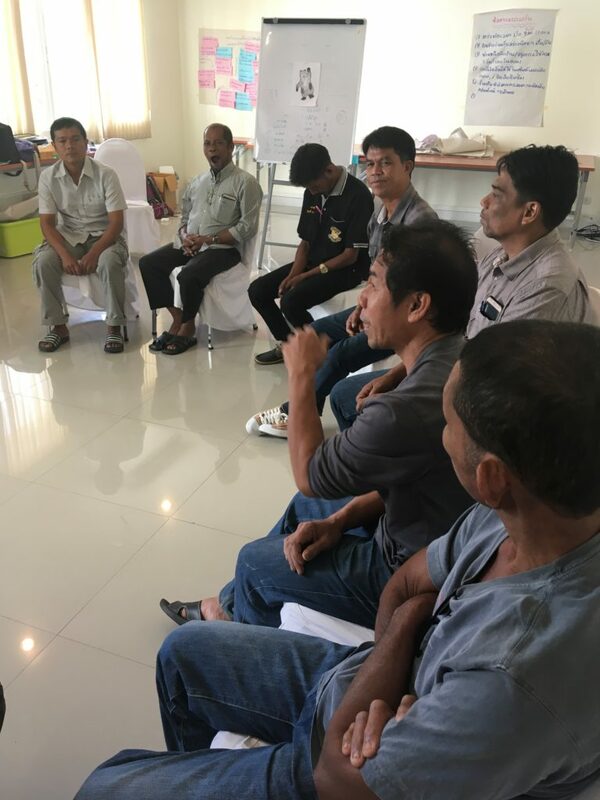 This workshop, which took place directly adjacent to a beautiful mangrove estuary in the town of Krabi, spanned four days at the beginning of May, 2018. 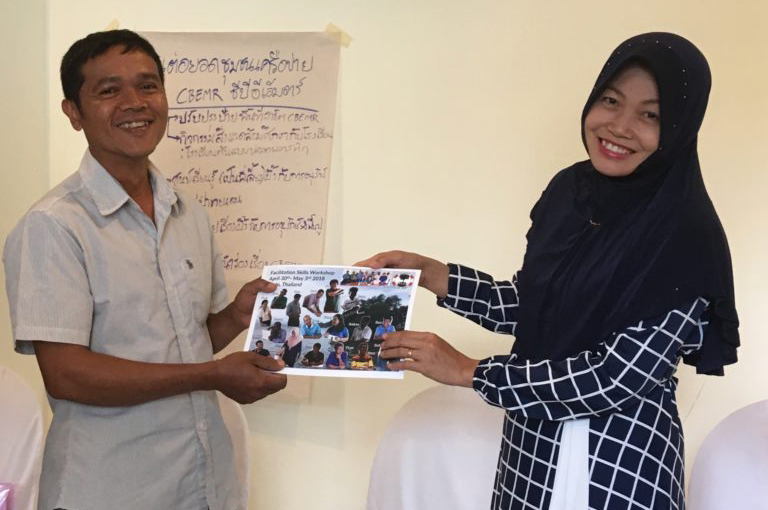 There were 13 participants from five villages within MAP’s Community-Based Ecological Mangrove Restoration (CBEMR) Network throughout four provinces in Southern Thailand: Trang, Krabi, Phang-Nga, and Ranong. MAP is developing this CBEMR Network, to emphasize building capacity for communities involved in CBEMR. MAP uses this network as a way to connect the many mangrove restoration sites, and for villagers to interact with people from other areas so they can learn from each other. This network provides an incredible framework to promote CBEMR awareness and offers an outlet to discuss what works and what doesn’t. Each assigned to different stakeholder positions, participants roleplay a lively community meeting. Sometimes there were intense debates between stakeholders, and in other moments the entire room would burst into infectious laughter. MAP conducted this workshop to encourage participants to become effective CBEMR ambassadors. This workshop aimed to provide resources and tools to help local leaders and local conservation advocates strengthen community organization. 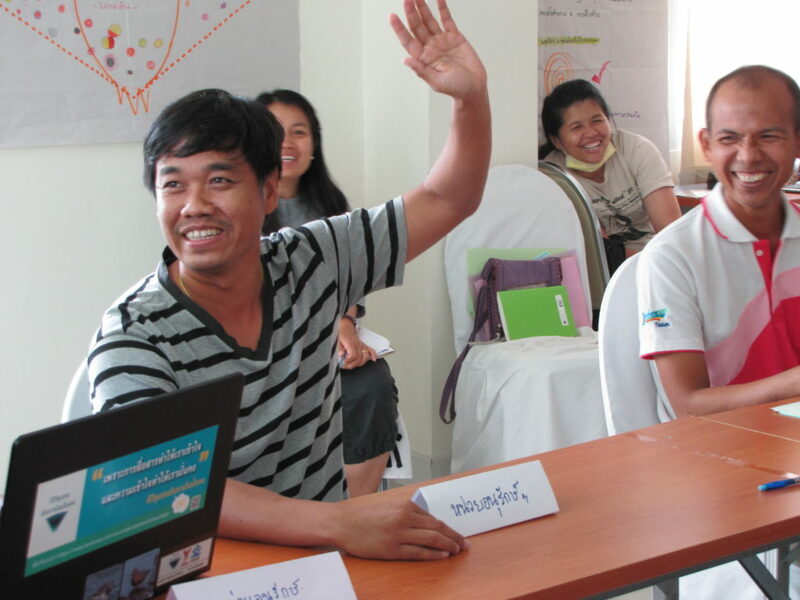 Through this training, participants learned how to be able to demonstrate the importance of CBEMR as representatives of their own communities and of MAP. 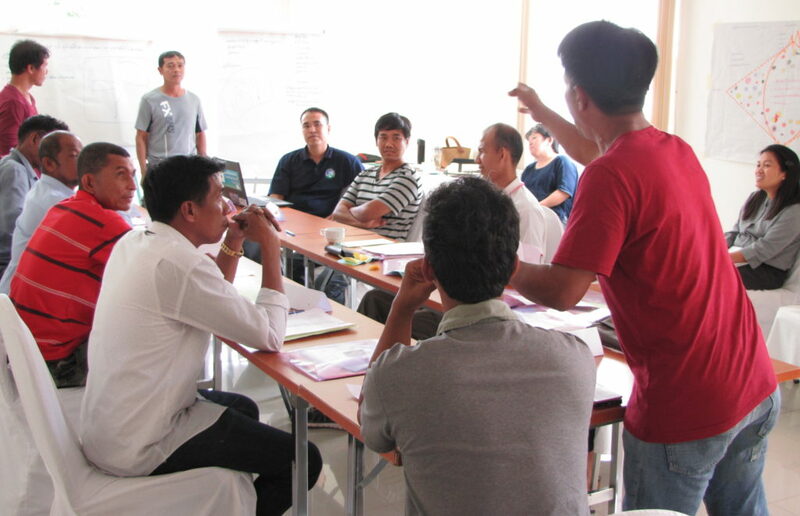 Some of the basic facilitation skills MAP focused on included becoming an effective public speaker or presenter, leading community discussions, strategizing decision-making, and organizing successful participatory group meetings within local communities and with the public. The workshop was structured with activities, group discussions, and roleplays, as well as individual and group presentations. The villagers plan and give final presentations on their own experience with CBEMR to the group, using their newfound facilitation skills and public speaking confidence. Participants reflected as the workshop came to a close, that they were happy to return home to their villages with newly acquired organizational skills and confidence in public speaking. They were eager to exchange contact information with everyone to stay in touch, so they could continue learning from each other in pursuit of CBEMR. 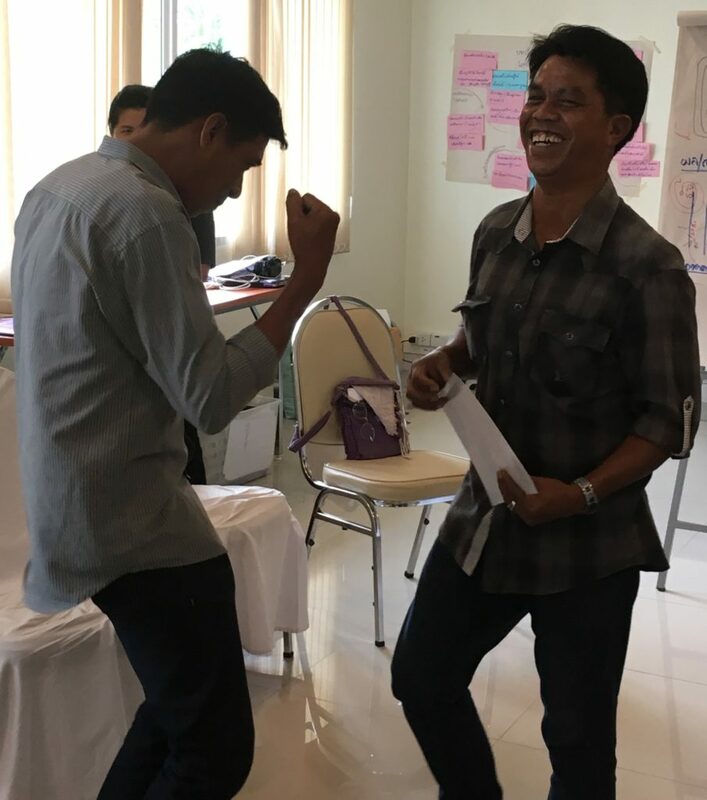 At the end of the workshop, participants enthusiastically award each other with certificates and share ideas of how they will apply the skills they have learned in the future. And we’d like to give a big thank you to Lush: Fresh Handmade Cosmetics for their support with this successful and engaging workshop!